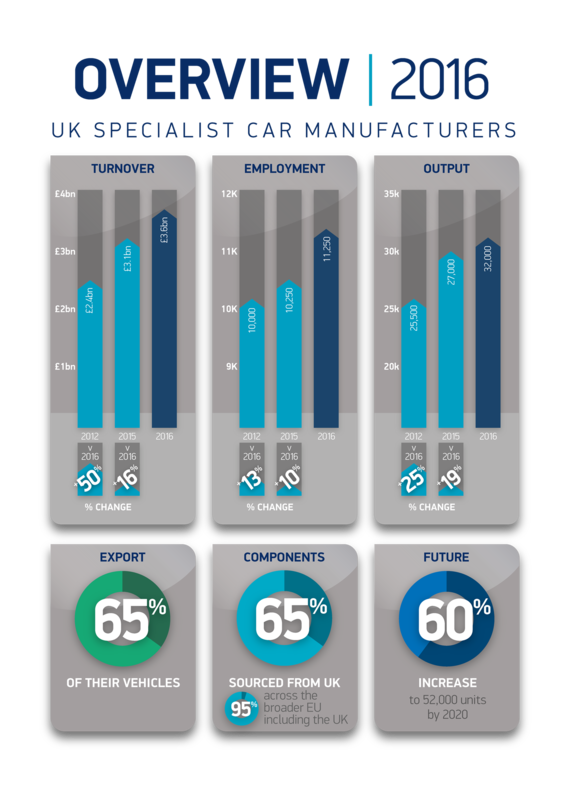 The UK’s specialist, low volume car manufacturing industry is set to enjoy a 60% production boost by 2020, thanks to increasing global demand, according to new analysis published by the Society of Motor Manufacturers and Traders (SMMT). The UK Specialist Car Manufacturers Report 2017 confirms Britain is home to the largest and most diverse specialist car manufacturing sector in the world, with some of the most globally recognised and iconic brands. The sector is a global leader in engineering, design and craftsmanship, producing a wide range of cutting-edge products, from high performance sports cars, luxury grand tourers and SUVs, to electric taxis and wheelchair accessible vehicles.